He moved on to working at several post houses around London before earning the opportunity to work as an assistant in a Telecine suite. His first professional gig as a colorist was in 1988 on Michael Jackson’sÂ Bad World Tour. 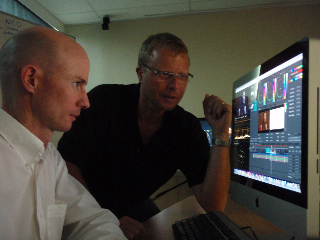 Warren’s upcoming online DaVinci Resolve training! You can find more interviews here:Â TaoOfColor.com interview series homepage. Yes, I have affiliate accounts with online retailers. Anything on this page that links to Amazon, B&H Photo or ToolFarm is Â an affiliate link. If you buy anything from my affiliate link not only do I get a commission, but you get a warmÂ pleasantÂ feeling that you’re helping to sustain the Tao Of Color website! If that is what you do – I, and all my readers and listeners say, Thank You.